Local company MD Fabrication has been awarded the right to label its windows, ‘Energy Efficient’ by the British Fenestration Rating Council (BFRC), which is the body responsible for window energy ratings in the UK. 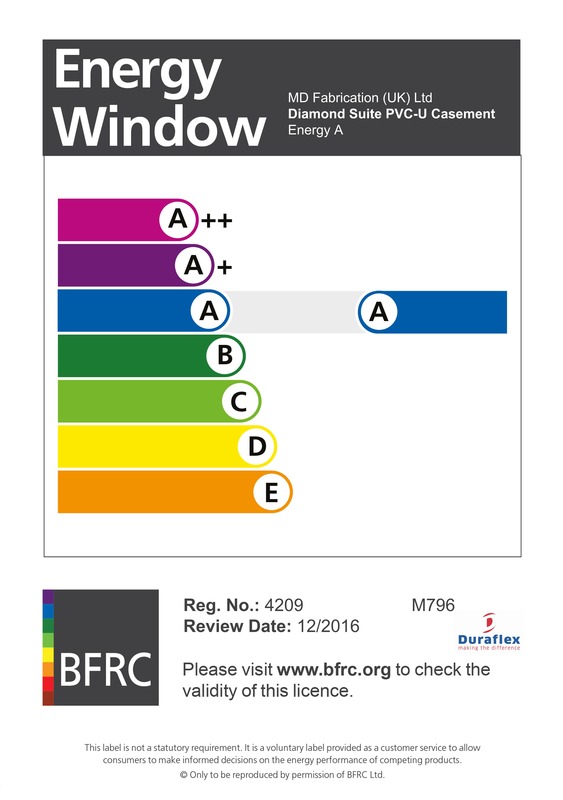 Windows, like many of the domestic goods we buy, can now be energy rated with the A to E label that we are all familiar with, but only windows assessed by the BFRC have the right to display the label MD Fabrication had to pass a rigorous assessment process in order to achieve an energy rating for its windows and now can offer Windows and frames to householders looking for a more energy efficient option. If you are interested in finding out more about the energy efficient windows offered by MD Fabrication please contact Mike or Brian on 01202 987711.